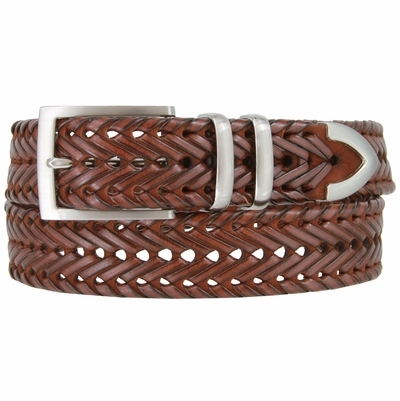 3520003 Men's Directional Braided Leather Dress Belt. 1-3/8" = 35mm wide Woven Leather Belt. Center holes around the belt for easy adjustment. Stitched Brushed Nickel Plated 4-pieces Buckle Set.